It’s very hard to anticipate everything that you might need to make customization of theme or a framework easier. xScape framework and all themes based on it include wide range of ways to customize them, but if you need something more, solution is simple: ask for it. In the next 2-3 days lightScape 1.2 will be released, and new theme version brings many more improvements that are there to make customizations easier through use of actions and filters. I have added some of them to make my own customization that will power Dev4Press website starting next week. But, I am sure that more can be done, so if you need something specific, just open a topic in the forum for a specific theme, or for the framework, and I will add it. Also, the idea with all this was to allow for easy upgrade-ability of the theme when new version is released, so the whole process is helped with built in upgrade/backup system allowing you to isolate what you need to keep, what files you added for your customization. On the image on the right you can see a detail of the Documentation Central built into the new website design using lightScape. Right now bbPress forum is also integrated into the theme and user account panels. To make all that possible, I am using custom page templates and upcoming enhanced Layout Manager that makes all that much easier and more powerful. New xScape 1.5.3 is coming out on monday, with all themes updated to use it. Also, I want to announce that based on my work on new Dev4Press, I will release number of tutorials explaining some of the things done, with code examples. 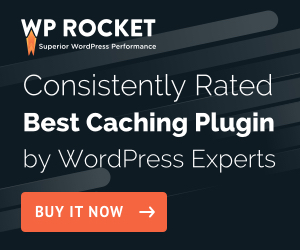 For now, stay tuned to see how the new Dev4Press looks like, and see how powerful xScape really is, and that no other WordPress theme framework can’t really come close to the level of customizations and features xScape has.